You are aiming for a runny batter consistency. If it is too sticky add milk, too watery add more flour. However, if you have followed the instructions above you should be fine. Heat up the non-stick frying pan to medium to high heat. 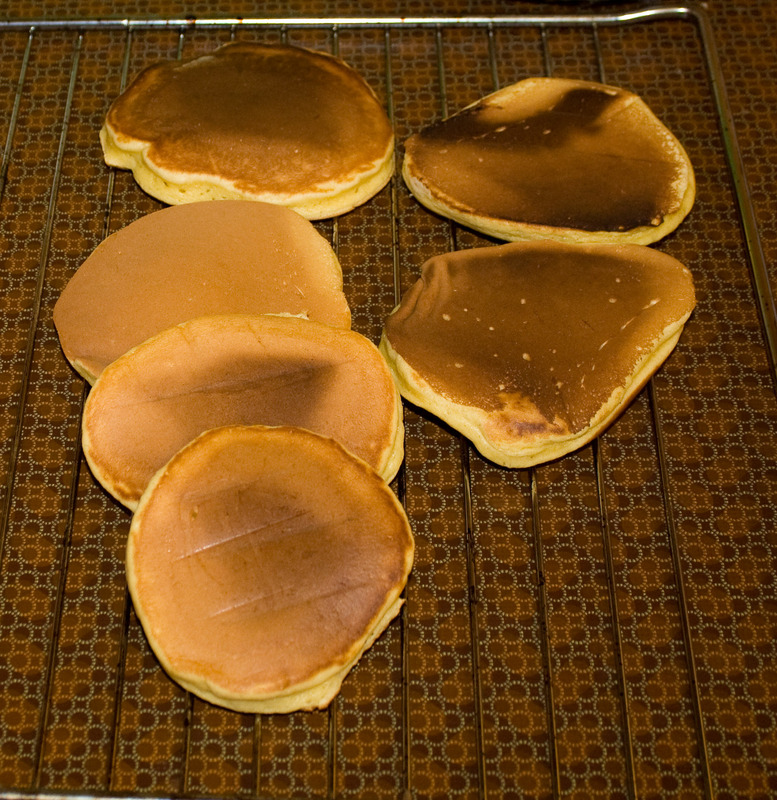 Drop spoonfuls of the mixture in to form pancakes. 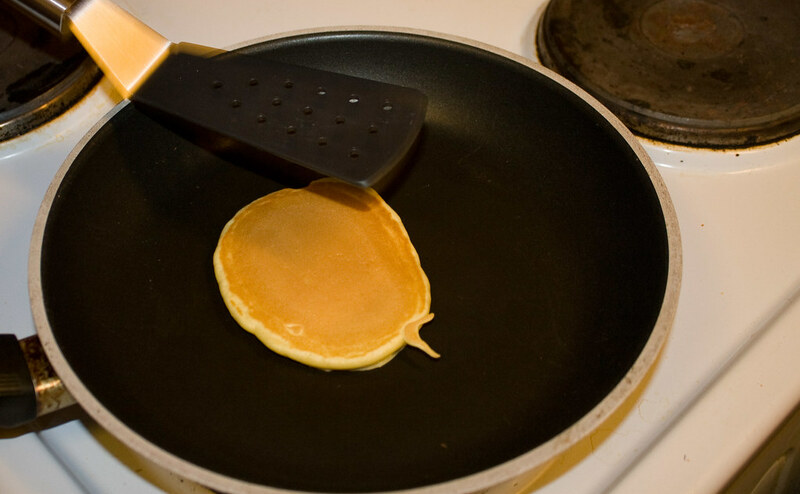 Flip over with a spatula after roughly 1-2 minutes. 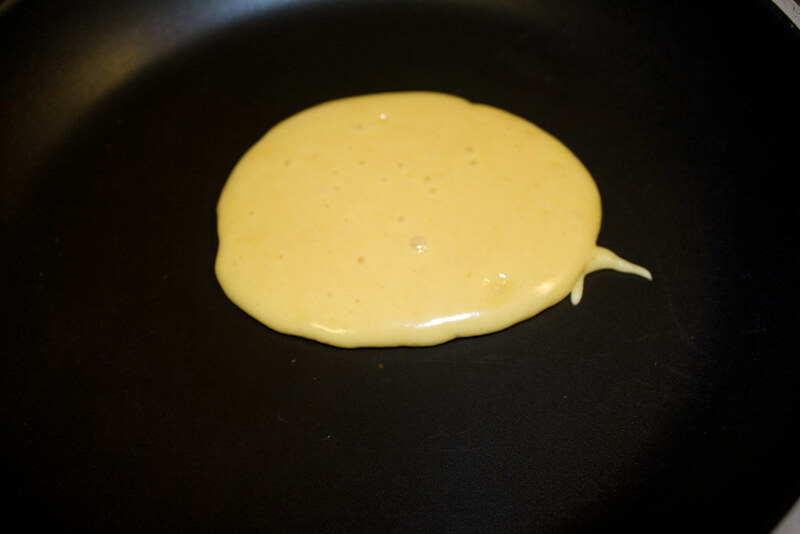 Look for bubbles, lift up with pancake with a knife to peek underneath.